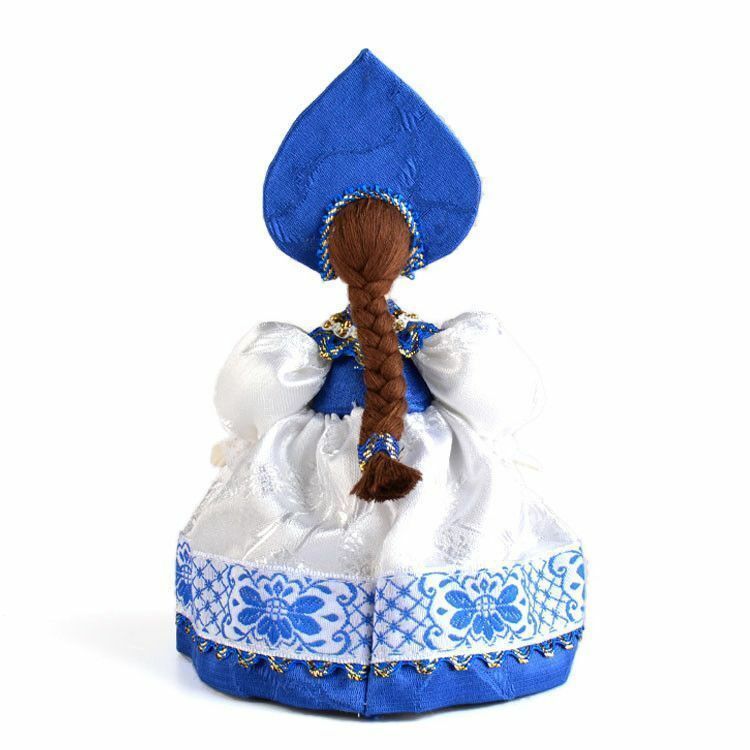 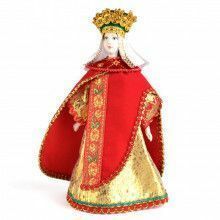 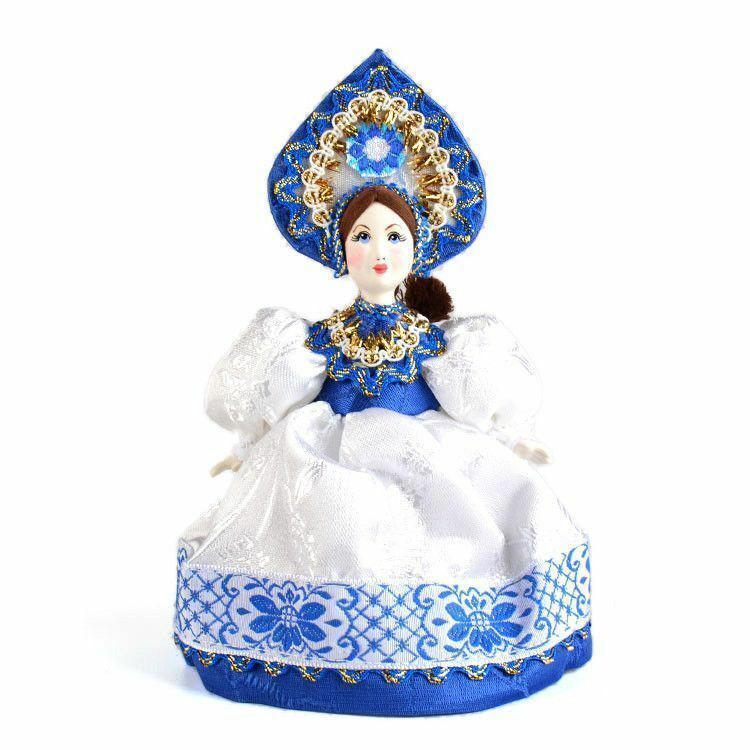 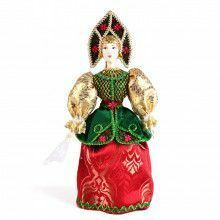 This Russian porcelain doll beauty features a white and blue festive dress with shiny gold trim, inspired by actual Russian royalty clothing from history. 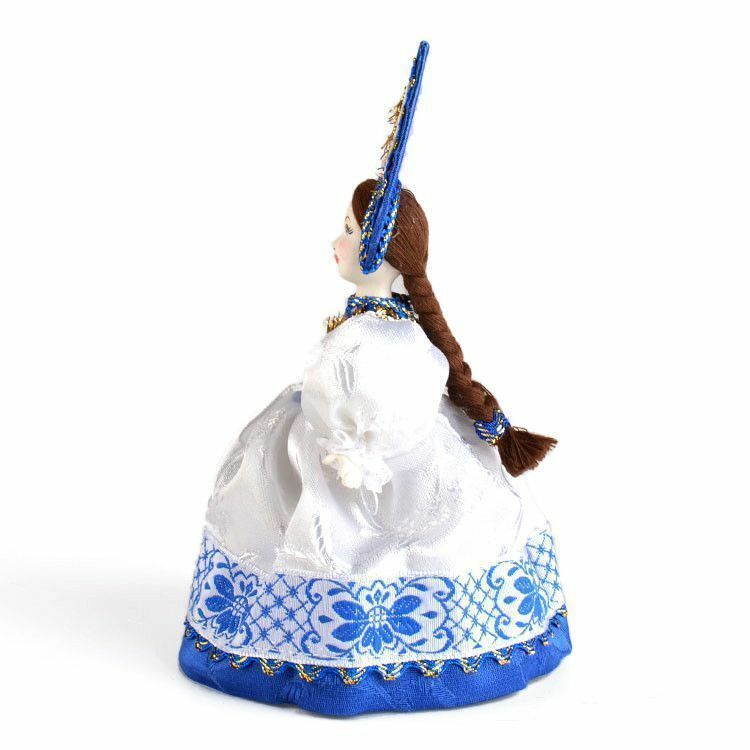 She has long, braided brunette hair, porcelain hands, and a hand-painted porcelain face. 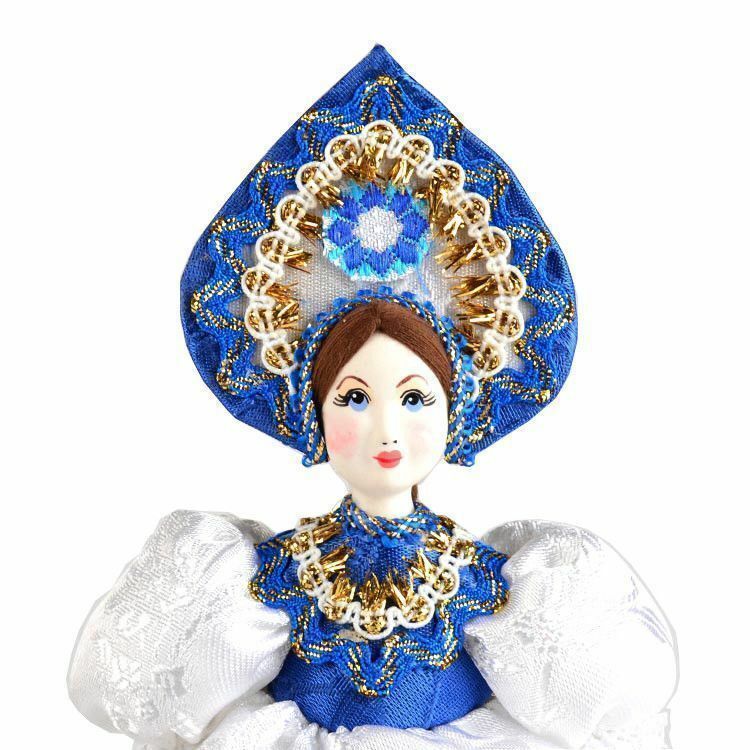 Approximately 7" tall and about 4" wide, this doll would look great anywhere you put her!